Let’s face it, if you are on tour or playing a one-off gig at a venue you have never been to, it is hard getting your RF sorted out before you step foot into the venue. Most of the time you are stuck to guessing what microphone RF bands and doing an RF scan when you get there. I call that damage control! 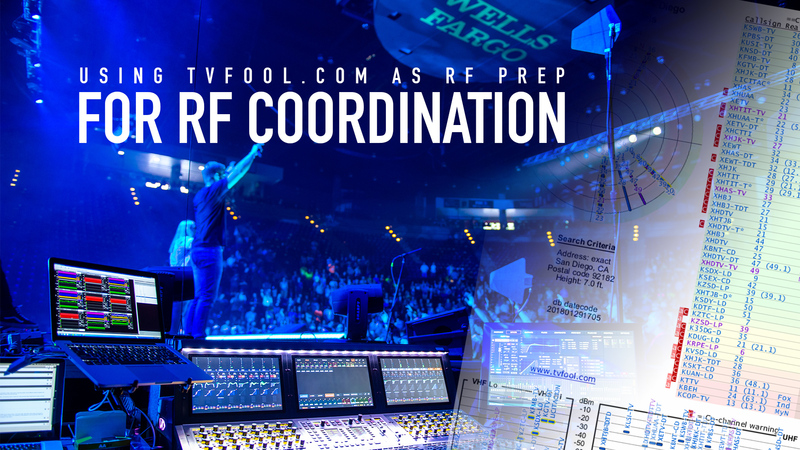 Being on top of your RF Coordination before stepping into your venue can save you some time and headaches! 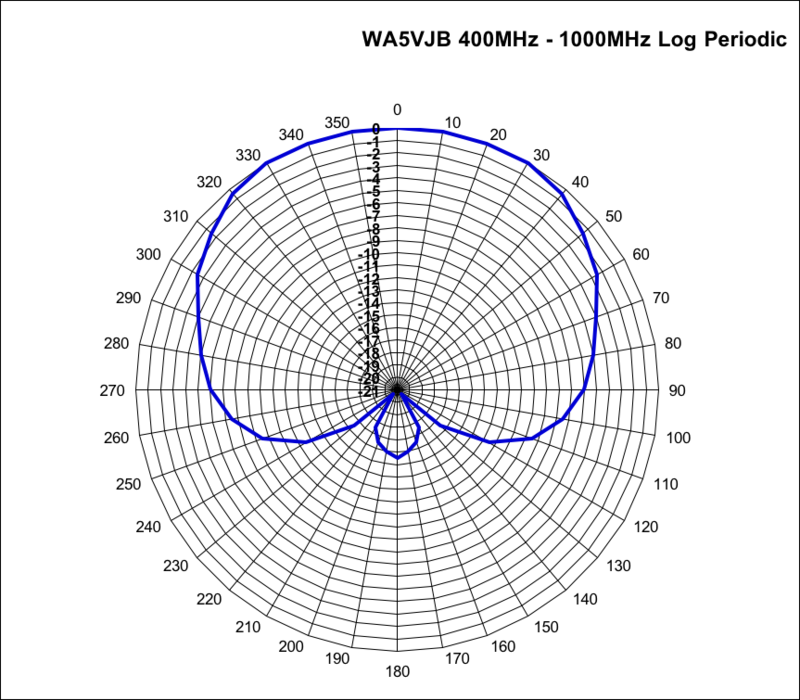 I’m sure that most of you use Shure Wireless Workbench or IAS from Professional Wireless for your RF Coordination, but how do you know that your data from the Zip Code scan is up to date? 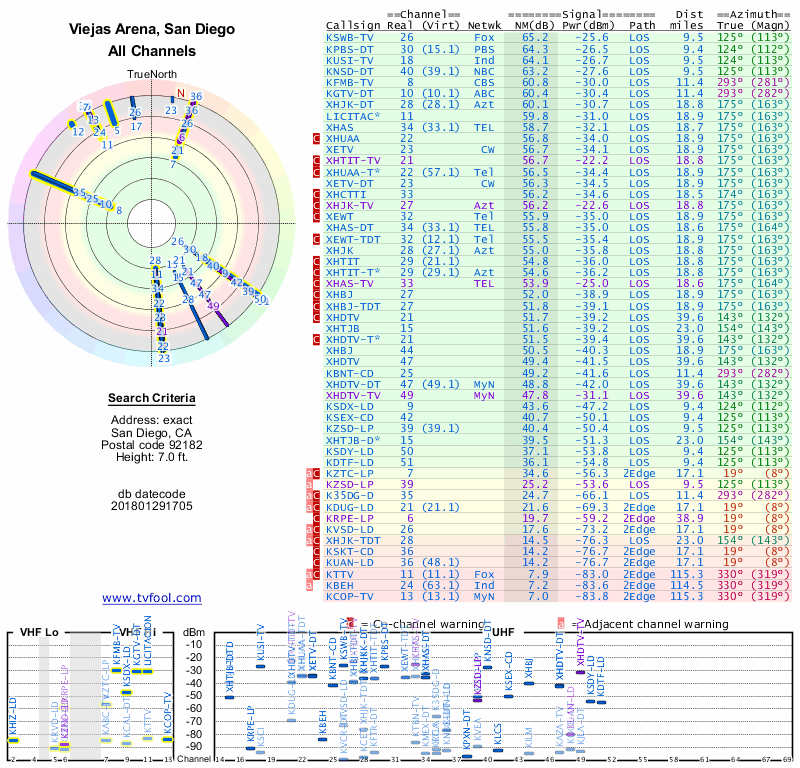 TVFool.com is a great website if you are setting up an OTA (Over the Air) television antenna because it allows you to look up your home address, enter in the elevation above ground that you mount your antenna, and you press enter. Then a radar display will come up showing where the TV transmitters are located AND it will show you the amplitude that the TV transmitters are potentially going to be received at. Looking at this, we can see there are a large number of stations in the green part which would be great if we were trying to receive some television! But in our situation, the more stations in the upper green portion would mean a more crowded RF environment. 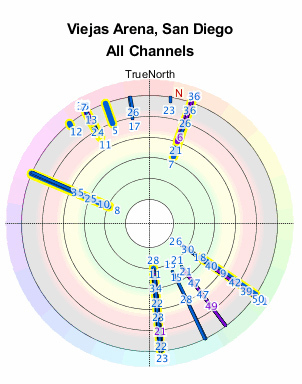 This chart is most helpful for our use because it shows the estimated RF amplitude that the specific television stations will be received at. You can see that dBm is listed in the middle along the Y-axis and the television channel is listed on the X-axis. 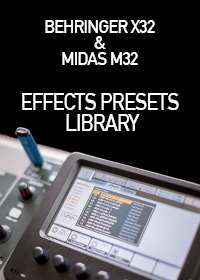 One can take this information and determine what frequency spans these cover by referencing the Wikipedia page on North American television frequencies, or we can take this information directly into Shure Wireless Workbench. In the frequency coordination tab, if you right click on the TV channel numbers you can ‘exclude’ a channel from WWB placing a microphone there. With my previous experience, it is best to exclude a channel if it is on the TVFool chart measuring at -70dBm or higher (until you can get a real RF scan to verify). 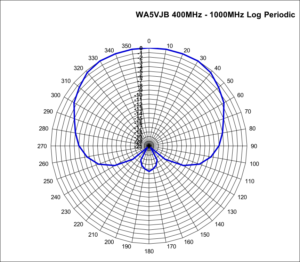 So, how closely does this represent an RF Scan? Well, the Viejas Arena is a bad example of this because it is a huge concrete bowl with a TON of steel in the air/roof. But at a recent scan of CCV’s new North Phoenix campus is a perfect example. Above is the TVFool chart for the address, and below is the RF scan I performed outside of the building. Aside from a few variances, those are pretty darn close. When you add the additional loss you will find from the building walls shielding and attenuating the RF, one could ALMOST do an RF Coordination without a spectrum analyzer. But, if you have access to a spectrum analyzer, please use it. You will have much better results in the long run! The really cool thing about this is that if you are a church that doesn’t have the budget to get RF scan tools (see my blog post here) then you can at least have a bit of information to empower you for better wireless results! The second thing that TVFool helps with is figuring out where to place your antennas! I have mentioned this before, but a 1000 kW (yes, 1,000,000 watts) is much more powerful than our 20 mW (0.02 watts) wireless microphones. Because of this, we need to maximize our receive of these microphones as much as possible while blocking out TV transmitters as much as possible. As you can see, it almost looks like a cardioid pattern of a microphone, with a small sensitive area directly behind the antenna. The nulls of this antenna happen to be at 140 and 220 degrees. When looking at this radar image, the closer to the center, the higher the amplitude the television station. We can see the best areas to point the antennas would be northeast and southwest. While avoiding southeast, north-northeast, and west-northwest. You can use a compass (the iPhone has an app for that) to find the best placement on the day of the show, or with your stage drawings. As you can see, TVFool is a really great, FREE, tool that you can add to your RF road case. When it comes time to select the frequency bands for your next show, make sure you pull up the venue address in TVFool, that way you can make an accurate decision. This is terrific! One question: since this covers TV channels quite well, what about mobile carriers, such as T-Mobile, who have reserved much of the UHF bandwidth per recent auctions? That is a great question! But no, TVFool only is going to give information on what TV channels are doing in your area. I will have to try and find the link that I had showing the estimated rollout of the 600MHz spectrum. The portion that we are allowed to use as unlicensed users (after July 13, 2020) are the two slots of 614-616MHz and 657-663MHz at a max power of 20 mW max. Thanks so much, happy to help! This is a great idea! Love it, Fred! Wish I had this years ago. Excellent, excellent post! Packed with great details and info. Thank you! Thanks, Bruce! I’m glad to help!